Jack Rheinstrom was the kind of guy that everyone liked. His graduating yearbook read like a Who’s Who of high school students—leader, scholar, and athlete. He was a special kid that shunned personal attention and passionately cared for others. He never appeared to be in a bad mood; just being around him made you feel good inside. But there are no guarantees in life. There were two special events that occurred in his life, both having dramatic effects.You can be agile and you can be tough but sometimes that’s just not enough. Jack Rheinstrom was an airline pilot. He was an ordinary man—his life was not. Gerry Hawes, recipient of the FAA’s Wright Brothers Master Pilot Award, knows what he’s writing about and it shows. 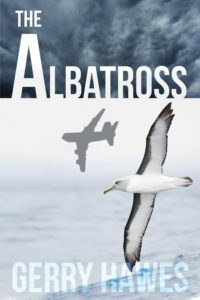 The Albatross is a compelling story rich with memorable characters, a real tour de force, but its greatest strength is the author’s ability to put the reader in the cockpit of a commercial airliner. I was gripped from beginning to end. If you’ve ever flown a 747 you will recognize the writing as absolutely authoritative. If you are not a pilot this may be the closest you get to flying a big jet. Be sure to fasten your seatbelt! —J. 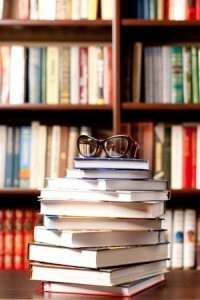 Bradford Tillson was a reporter, editor, and publisher of Dayton Daily News in Ohio and CEO of Cox Ohio Publishing. In 2003 he chaired Dayton’s celebration of the centennial of the Wright Brothers’ first flight. Like all young boys, Gerry Hawes had a romantic dream—his was to someday fly a plane. And that he did, first in the Air Force in peace, but also later in the Vietnam War, where he was awarded the Air Medal and the Distinguished Flying Cross. But his ultimate goal was “the airlines,” which he finally achieved. He has seen a lot of things up there during his 50 years in the skies, and he would very much like for you to join him. Just for a while—he has something to say.